In an era where xenophobic politics are gaining popularity, it is more important to raise awareness of migrants’ rights and to ensure that migrants are not invisible, as unfortunately is often the case. François Crépeau is among those who try to amplify the voices of migrants, first as a professor and researcher, and since 2011 as United Nations Special Rapporteur on the Human Rights of Migrants. It was by chance that he began to be interested in the rights of migrants. In France for his graduate studies in law, he worked with a research center that offered him the choice to study mental health or migration from a limited number of topics. He chose migration without putting too much thought into it and admits with a smile that he has never been able to quit! From his resume, you can see François’s long experience and growing interest in migration issues. After spending eleven years as a professor at UQAM, he was a professor at the Université de Montréal from 2001 to 2008, holder of the Canada Research Chair in International Migration Law, and founding scientific director of the Montreal Centre for International Studies (CERIUM). Until 2011, he sat on the Committee on Human Rights and the Committee on Citizenship and Immigration of the Barreau du Québec and he was a member of the Canadian Commission for UNESCO. Since 2009, he has been a professor at McGill University and holder of the Hans and Tamar Oppenheimer Chair in Public International Law. Since 2015, he has also been the director of the Centre for Human Rights and Legal Pluralism at McGill University’s Faculty of Law. A question keeps coming up for François: how do you protect the rights of migrants if they have no political influence? Migrant workers and refugees do not have the right to vote and therefore no electoral power to influence decision-makers. Their interests and claims are often ignored in favour of the majority. “Politicians in our democratic system work with an electoral incentive. Politicians listen to the public and want to be re-elected, so they will do what voters want. Migrants, asylum seekers, and refugees do not vote. There is no incentive for politicians to do anything for migrants.” Many leaders have started to adopt anti-migration and xenophobic policies in order to gain political capital, a particularly frightening trend in Europe. François also deplores the stereotypes migrant populations encounter. Who hasn’t heard that migrant workers “steal” jobs from so-called “local” populations? It is a pervasive myth but it is completely false. Migrant workers have jobs with harsh working conditions and low wages, which the majority of the population would not want. These conditions often approach exploitation. Questioning the current political system, stereotypes and preconceived ideas… it is easy to see that François Crépeau is a researcher. When you talk to him, his passion for migrants’ rights and human rights is obvious, a passion with a long history, almost engrained in his genes! His father, Paul-André Crépeau, who was also a law professor at McGill University, was a co-founder of Equitas – formerly known as the Canadian Human Rights Foundation – alongside John Humphrey and Thérèse Casgrain. 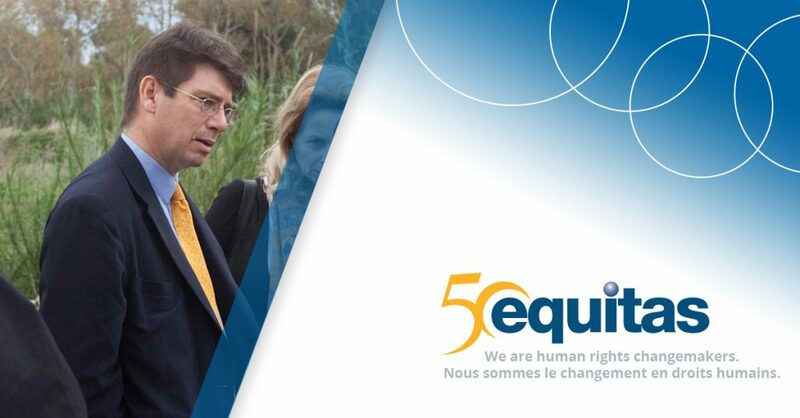 While François was Vice-President of Equitas from 1992 to 2004, he was part of a change of direction for the organization. Among other things he contributed to the development of the regional program on the rights of migrant workers in Asia (1997-2004) and to the revision of the pedagogical methodology used in the framework of the International Human Rights Training Program (IHRTP). It was a training program for law students to familiarize themselves with human rights, a subject not as common in universities as it is today. In the 1990s, several universities began offering courses in human rights, so gearing the IHRTP towards Canadian students was no longer as relevant. This is why the formula was revised and the IHRTP is now available to members of civil society working for human rights in different countries. 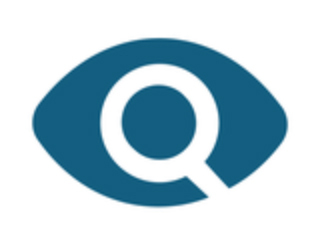 The IHRTP has since become the flagship program of Equitas and contributes the organization’s excellent reputation today. Since 2011, François has continued to raise awareness of migrants’ rights as United Nations Special Rapporteur on the Human Rights of Migrants. He has visited several countries including Australia, Turkey and Greece to analyze the migratory flow situation at their borders. He is also interested in labour migration in Gulf countries and the rights of temporary migrant workers. As Special Rapporteur, François doesn’t hesitate to question the positions of some policymakers, such as by sending reports to the European Union with recommendations on their migration policies. In these reports he claims that Europe should not close its borders to migrants, and rather that it should open its borders using appropriate tools to govern migratory movements. Story written by Alex Chartrand, Communications intern, Equitas.